Cuban spice blend is tangy, sweet and inspires curiosity. It is moderately strong in spiciness and heavy spices. It is herbal and citrus all at once. It can be used to season traditional Cuban dishes, Cuban-style dishes and many other recipes as meat, fish, seafood, and poultry. Inside is a recipe for a killer Cuban Sandwich! 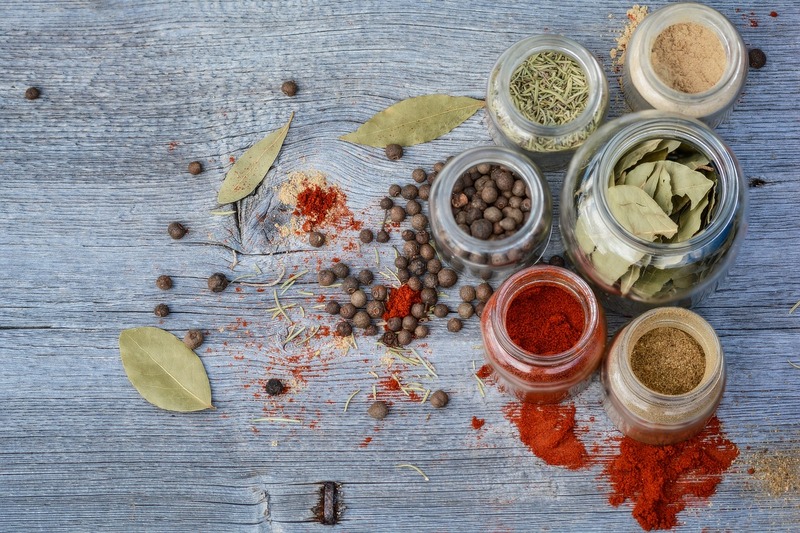 A single spice blend cannot translate all the culinary history of a country or a culture. When people think of Cuba their thoughts will go straight to the thoughts of Cuban music, cigars and cocktails (Hello Daiquiris and Mojitos) . But Cuba also has some signature dishes like the Cuban sandwich. People will fall in love with the spices and flavors of the food as they discover the flavor combinations that work so well together. When talking about Cuban food – Cuba was a busy port during navigation times, so many different travelers came in contact the Island and they in turn bought their different spices which influenced the food and bought many cultural inspirations together to build the contemporary style of cooking. It is a fusion of Spanish, Native American, African and Caribbean culinary. Also being an island, seafood is a way of eating and thanks to the tropical climate region, there were a large variety of fruits and vegetables in Cuba, which contributed to the creation of many typical dishes. Store in a spice jars. Note: Dried orange zest is also called dried orange peel. Some stores sell it online, but you can also prepare it at home. To prepare it, remove zest from one orange (not using the white part), then let zest dry naturally for 2 days, on a plate. You can also preheat the oven to the lowest temperature possible, place zest on a non-sticking baking pan and bake to dry it out (5 minutes or less might be enough). There Is also a third option, if you are in a rush, you can use regular orange zest, however, your spice will only keep for several days if using the zest fresh. Mmm! I’m going to be trying this spice blend! Thank you for sharing! This sounds delicious! And lovely to have on hand! I didn’t realize oregano would be in a Cuban blend. I will have to try it! Oh this sounds so yummy! I will definitely be making this spice blend and trying it on a ton of recipes! Thank you!